Be one of the 3 winners of the following DVD bundle containing: ‘Moneyball,’ ‘Wrath of the Titans’ and ‘Ghost Rider: Spirit of Vengeance’ by simply joining our electronic raffle! 2) Must have a Twitter and Facebook account. 5) Share to your followers. 7) Promo starts now until August 14, 2012 at 11:59 PM. 8) Winners will be chosen via electronic raffle and contacted via email or text. Winners will also be announced on starmometer.com, Twitter and Facebook. 9) Prizes include a 3-day FREE pass to Fitness First! 10) Prizes will be shipped to the winners via XEND express delivery. 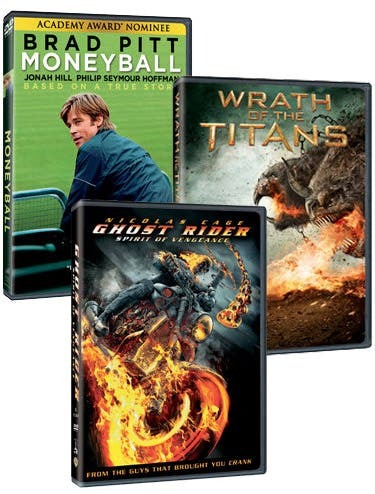 ‘Moneyball,’ ‘Wrath of the Titans’ and ‘Ghost Rider: Spirit of Vengeance’ in Blu-Ray and DVD formats are now available at your nearest video shops and record bars. Get updated with Magnavision’s latest releases by following their official Twitter Account (@MagnavisionHome). DVD Giveaway: ‘American Pie Reunion’ and ’21 Jumpstreet’ – 1 Day to Go to Win These!